Imagine leaving a life of privilege and power to face angry mobs, painful imprisonment, and chain-breaking earthquakes – all to spread the life-changing truth of God’s love. 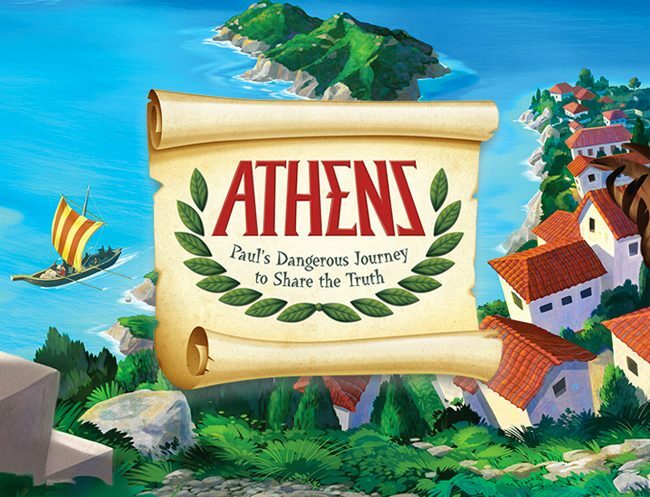 Join Paul and Silas for an exciting adventure through the Mediterranean as they journey to share the Good News. Being a disciple may not be easy, but it’s never boring! This fun-filled week will include lively songs, hilarious skits, creative crafts, exciting games, engaging Bible stories, and delicious snacks. The Thursday evening open house/program allows the entire family to experience the adventure of Vacation Bible School as the campers and volunteers present the songs, skits, crafts and games that make the week so much fun. Don’t miss out on this exciting week. See you in Athens! You can print this form and mail it to Blessed Trinity (1475 Eaton Street, Missoula, MT 59801) or bring it to the parish office.